My birthday is in a few days, and it is the one event that will happen without a Thanksgiving theme. I will not have mashed potatoes, I will not roast squash, I will not talk about Pilgrims or Indians, I will spend it with some of the best people I know (my family) and relax. I toiled away at what my perfect day might look like, and I figured I have shared so much on this blog already, why not my birthday? I am a jeans and tank top girl – I wear them with diamonds and flip flops. I want to celebrate with sparkle (and sparklers! ), I want sand between my toes, the people I love at my side, and flowers in every room. This has been a very good year, and I am so glad to have been able to share it with you. What does your perfect (birth)day look like? 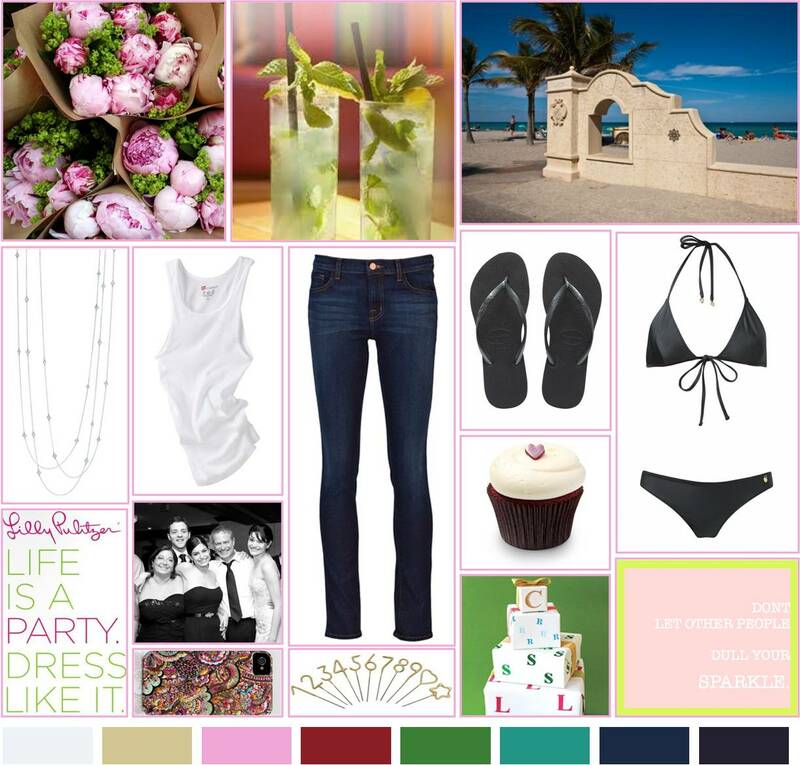 This entry was posted in Her Home, Her Inspiration, Her Weddings + Events, Holidays, Personal, Sparkle, Wedding Inspiration and tagged birthday, birthday inspiration board, birthday party, grown up birthday, miami wedding, mojito signature drink. Bookmark the permalink.